In case you have not heard, if your vehicle has a frontal driver’s side or passenger’s side airbag made by Takata, you need to get it replaced as soon as you can. In what has been called “Australia’s largest ever recall” issued by the Australian Government’s Mandatory Recall Notice in February 2018, car manufacturers are required to replace Takata airbags by the end of 2020. The Takata airbag recall affects an estimated 1 in 4 vehicles in Australia, having been installed in cars from model years 2002 to 2015. Inside every airbag is an inflator, which is a metal cartridge filled with solid propellant ignited by the airbag system to quickly create a huge volume of gas. This rapidly inflates the airbag and the gas dissipates through tiny holes to deflate it immediately afterwards. The problem is that the actual inflator in Takata airbags have in some cases ruptured during bag deployment, spraying the vehicle with shards of metal. This is because the faulty airbags use inflators with propellant wafers that are ammonium nitrate-based and don’t also contain a chemical drying agent. 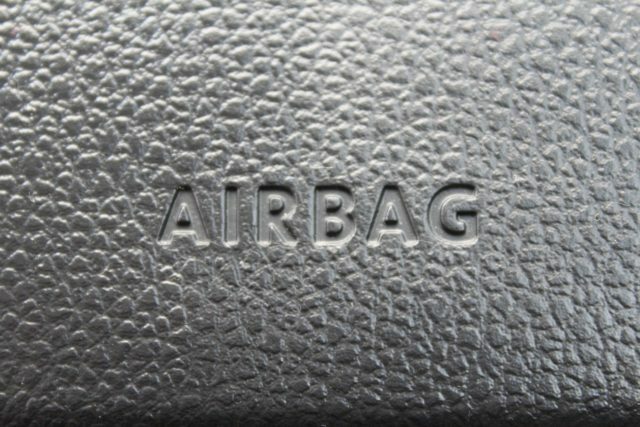 With age, high temperatures, and moisture in the environment, the airbag is at higher risk of improper inflation. As of the end of 2018, data showed that there have been at least 300 injuries resulting from improper inflation and flying shrapnel, and at least 23 deaths. In terms of the recall, there have been more than 2.8 million Takata airbags replaced in Australia, with another 1.0 million that still need to be replaced. “Alpha” airbags – Takata airbags that were installed in certain BMW, Honda, Lexus, Mazda, Nissan, and Toyota models sold between 2001 to 2004 – present the highest risk. You may have already received a notice of the recall from your car manufacturer, or remember an awareness campaign last year around July. If your vehicle is on the recall list, you should contact your car manufacturer to arrange a free Takata airbag replacement as soon as possible. Because the issue is with the inflator, you may not have to have the entire airbag replaced. You can easily check whether your vehicle is on the recall list by clicking on the link below or texting “Takata” to 0487 AIRBAG (247224). There is also a list of affected vehicles on the Australian Competition & Consumer Commission site.